Our success in the commercial industry can largely be credited to our coordination efforts with architects, geotechnical, civil, mechanical and electrical divisions, as well as contractors, to create an aesthetic, economical, and sound structure. Our efforts are continued throughout construction to aid in interpretation and ensure implementation of the design drawings. Orange Beach , AL - Repaired approximately 2,000 linear foot of a concrete cap surrounding a condominium complex where excessive loading on the sheetpile wall tiebacks led to failures of the cap at each anchor. 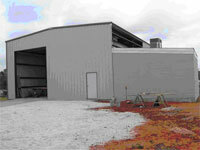 Mobile County , AL - Produced design drawings for a pre-engineered metal building foundation and CMU connecting office. Footings were designed for building loads and additional loads resulting from a 3-ton monorail. 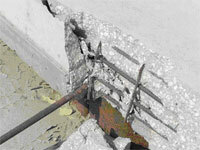 Coordinated with Mobile County to obtain permits and inspections throughout construction. Orange Beach, AL, Gulf Shores, AL and Fairhope, AL - Coordinated with architects to develop infrastructure and foundation designs on both masonry and wood-framed two and three story residential/office condominiums. Mobile , AL - Concrete piles and pilecap were designed for heavy, vibrating equipment that soft clay soil would not support. Fairhope , AL - Timber piles were used to elevate the structure in accordance with FEMA guidelines for structures along coastal floodways. Fairhope , AL - A masonry retaining wall was designed for a two story home in danger of collapsing into a nearby ravine. 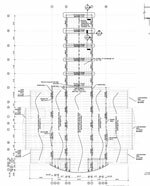 Daphne, AL - Design drawings were produced for a steel frame bank on continuous grade beams.